We’ve Got Your Ride to DC Restaurant Week! One of winter’s most anticipated foodie events, Restaurant Association Metropolitan Washington’s Winter Restaurant Week, introduces diners to some of the most popular restaurants in the metro area with flat-rate specials featuring three-course lunches for $22 and three-course dinners for $35. And new this year: brunch for $22! Dozens of culinary attractions from around the DMV are participating – here are just a few: Trummer’s on Main in Clifton, VA; Hula Girl Bar and Grill in Arlington; Ocean Prime DC; Maketto in the H Street Corridor; and for the first time, dining on the Potomac on Spirit Cruises! 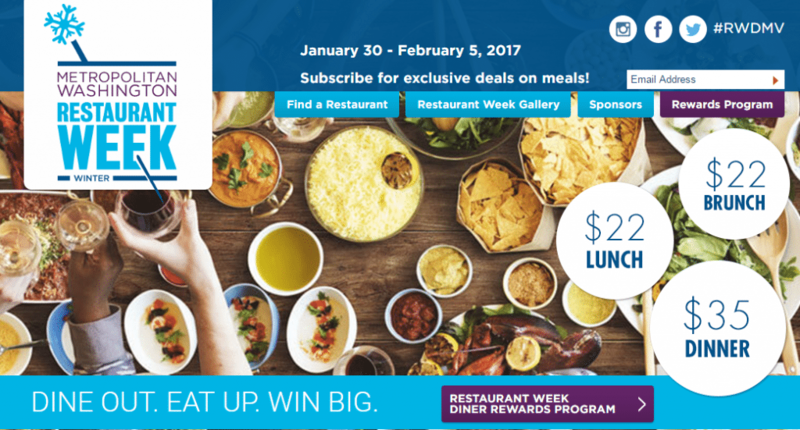 20% off your ride to DC Restaurant Week! To book your ride, call us at 703.478.0500 option 1 and refer to promo code 2017DCRestWeek20.